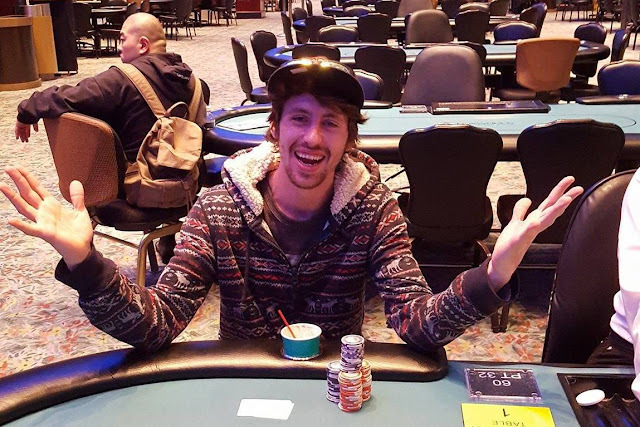 After a crazy back and forth heads up battle where Patrick McConnell found himself down to a single big blind blind, he has just won Event #5, taking home his first trophy and $21,315. 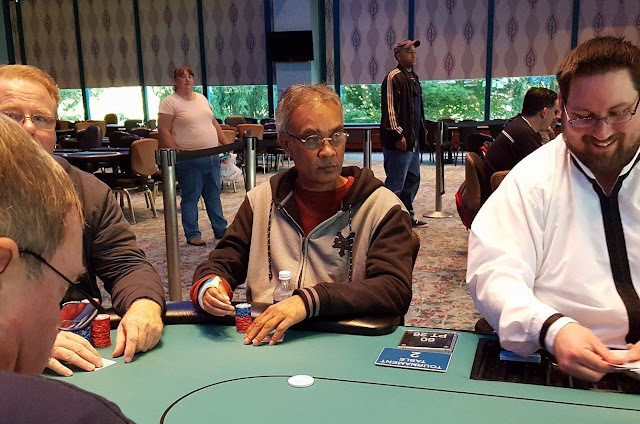 The final hand occurred when Jeffrey Giordano shoved all in holding J♥10♥ and McConnell called with A♦Q♥. The A♥ appeared in the window but right behind it was the J♦ and the 10♦ giving Giordano two pair. 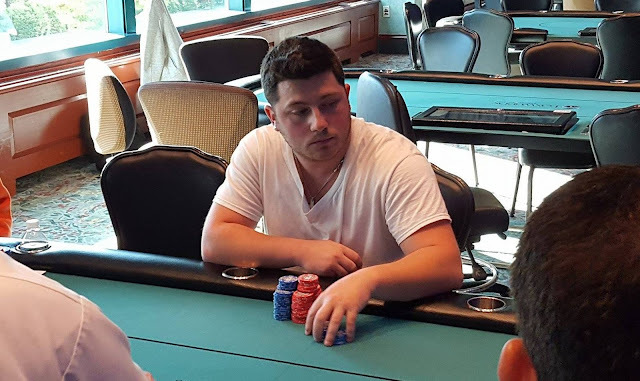 The 7♠ turn maintained Giordano's lead, but the K♣ river gave McConnell Broadway, to win Event #5. 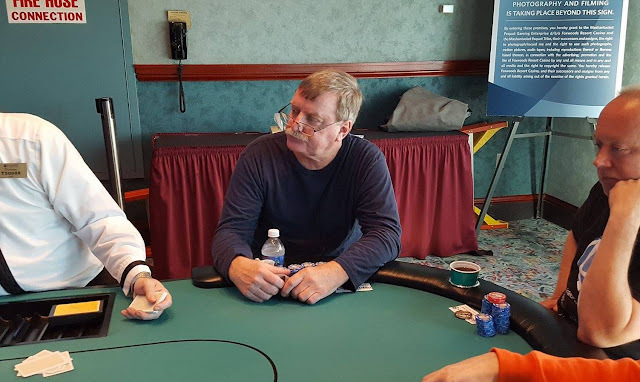 Patrick McConnell was down to a single big blind (250,000) just an orbit or two ago, and has just doubled up multiple times to be sitting with nearly 6,000,000 in chips. He doubled the first time holding K♥J♣ against A♦7♦ and rivering trip kings. Another double was with pocket jacks. This has been anything but a full final table. 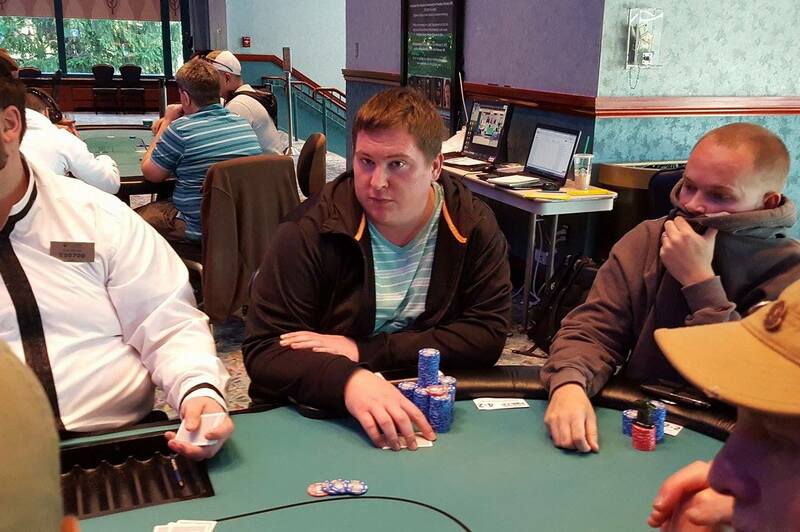 Despite a lot of back and forth double ups, Patrick McConnel and Jeffrey Giordano are still heads up in the Monster Stack event. 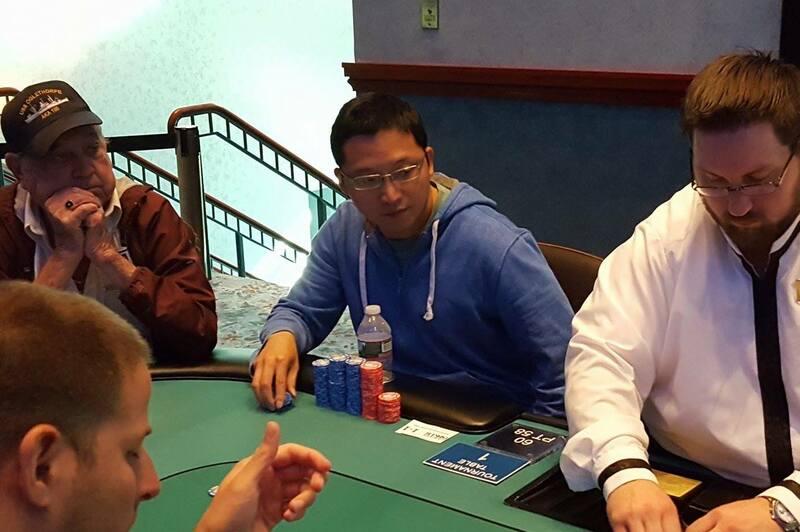 They have swapped stack for the lead over five times this level alone, but the average is now around ten big blinds. On a board reading A♥9♣6♦ Brian Malone is all in holding 10♦6♠ (pair of sixes) and has been called by Jeffrey Giordano holding 10♥9♠ (pair of nines). Unfortunately for Malone the 4♥ turn and Q♦ river do not improve his hand and he is eliminated in 3rd place. 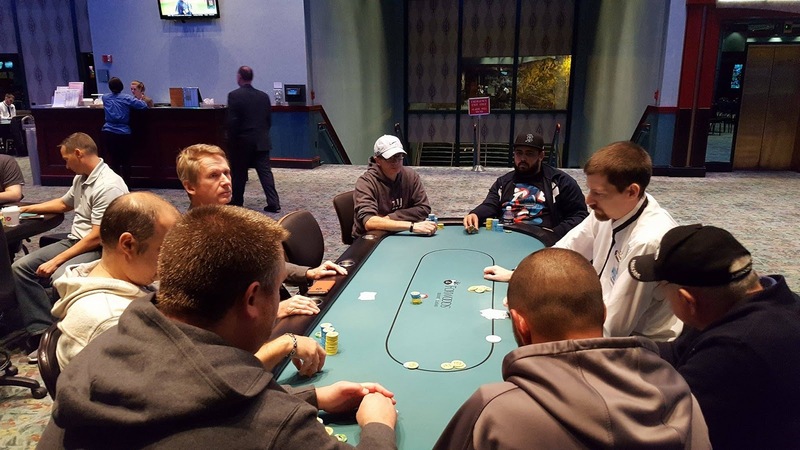 There are 15 players remaining in Event #6, which means they are all now in the money. All players are guaranteed at least $570, with first place taking home $7,641 and the World Poker Finals Trophy. For a look at the full prizepool information, please see this link. Players are now on a quick five minute break. 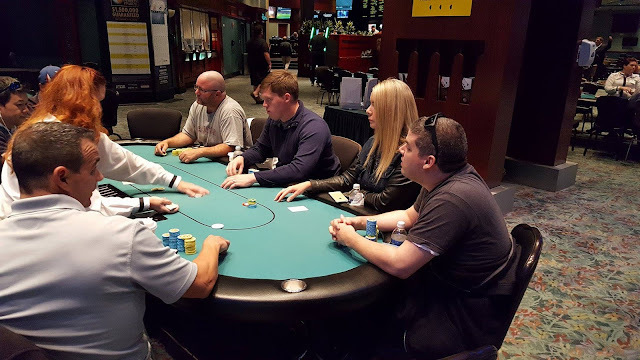 They will return to play Level 34 with 100,000/200,000 blinds and a 25,000 ante. 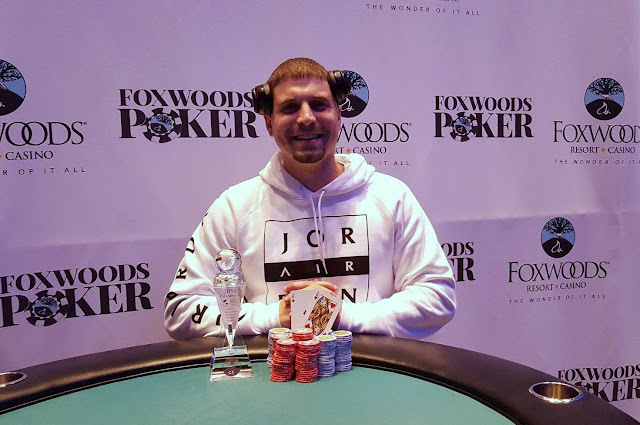 Micah Goldberg has just won his very first trophy, and at Foxwoods, his home casino. Goldberg attributes the support of his wife as one of the key factors in his win today. 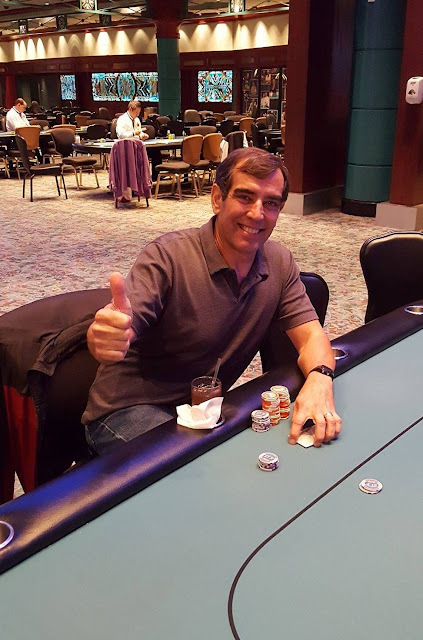 He even went to so far as to offer the following advice to fellow poker players, "I encourage others to marry a wife as understanding and supportive as mine." Goldberg also spoke very highly of his opponents, especially his heads up opponent Andrew Lauer. "He was a terrific player, one I didn't necessarily want to be heads up against," Goldberg said of Lauer. Goldberg is mostly a cash game player and doesn't often play tournaments, making this win extra special to him. Brian Malone has called for his tournament life holding A♠7♦ and is up against the K♣Q♦ of Jeffrey Giordano. Giordano flops a pair of queens and turns two pair, and Brown is eliminated in 4th place. 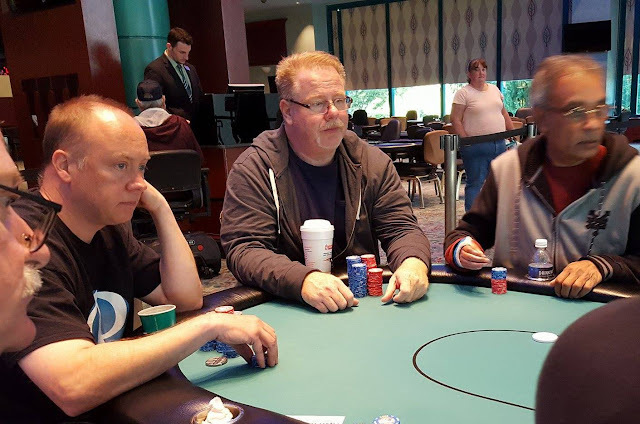 Brian Malone raises to 250,000 from under the gun and Jeffrey Giordano calls in the small blind as does Patrick Jackson in the big blind. The flop comes 8♣6♣2♠. 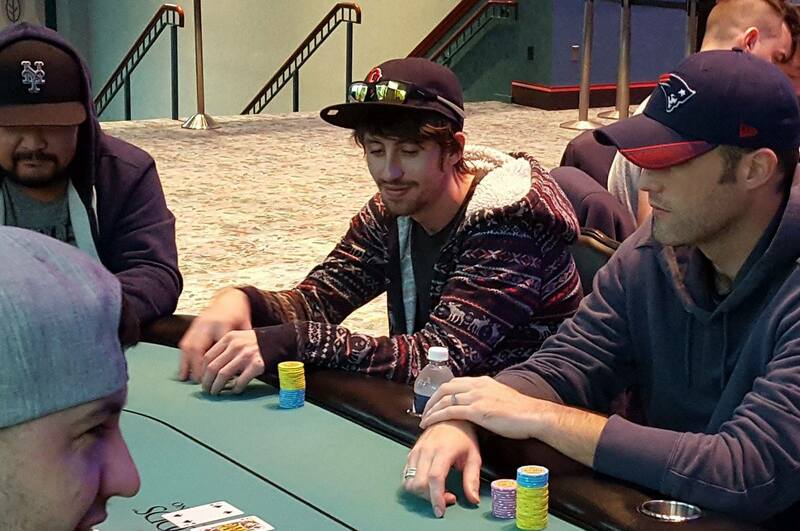 Giordano checks, Jackson bets 425,000, and Malone makes it 1,100,000. Giordano opts to fold, and Jackson announces that he is all in. Malone calls and the players table their hands. "Just has to fade the world here," table mate Patrick McConnell says to Malone. The turn is the 8♥ which does not change the hand, and when the A♠ river comes safe for Malone, McConnell says, "Just fades the world." "How do I miss there?" Jackson asks quietly as he heads to the payout desk. Fabio Dagata is all in for less than ten big blinds holding 10♦9♦ and has been called by a player holding A♣A♥. The board runs out jack high, sending Dagata home in 7th place. CF Plaisted is all in for 300,000 holding 8♥8♣ and has been called by Patrick Jackson holding 10♠10♥. 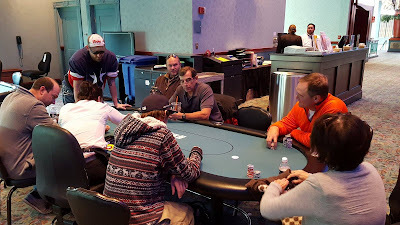 The board runs out K♠6♦2♠7♣5♠ eliminating Plaisted in 8th place. 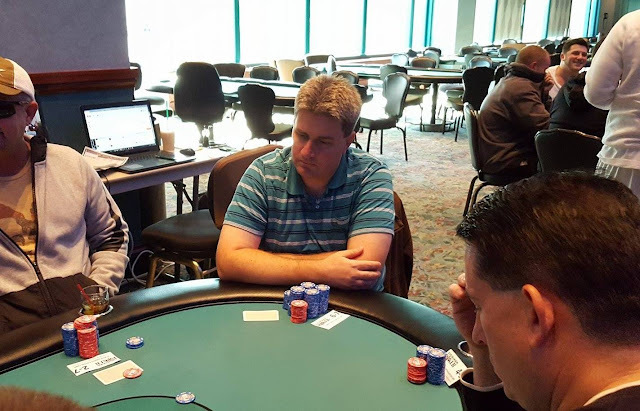 Brian Malone raises to 200,000 from the hijack and Anthony Dugas shoves all in from the small blind for 1,215,000 total. It folds to Malone who goes into the tank. Nearly three minutes pass before Malone quietly announces that a call. The dealer confirms that he said call, and the players table their hands. The flop comes Q♥8♣3♦ giving Dugas a pair of eights, but leaving Malone in the lead with his pair of nines. 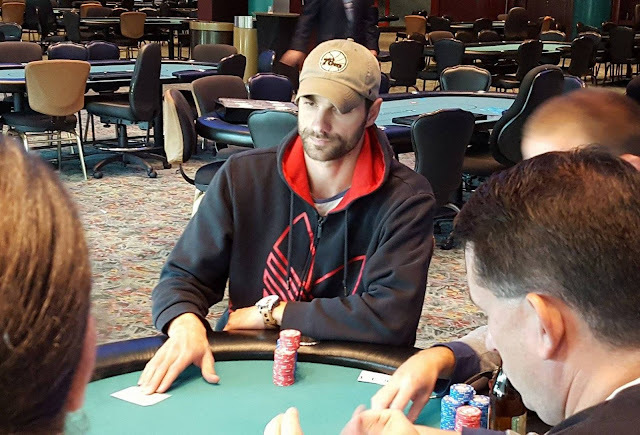 The 10♦ turn maintains Malone's lead, and the 9♦ river only increases it further to a set. 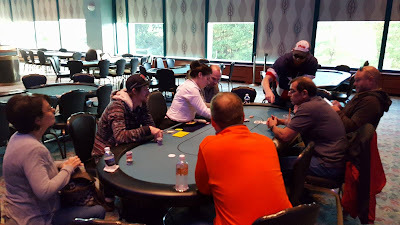 Dugas is eliminated in 9th place, taking home $2,025, and Malone is now the clear chip leader of the remaining eight players. 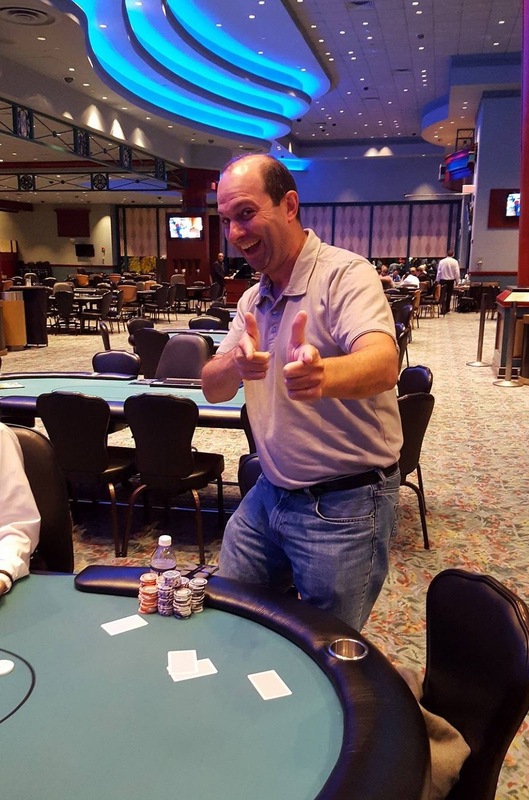 Jeffrey Leone shoved all in holding A♦J♦ and got called by Patrick Jackson holding A♥Q♠ and another player holding 10♣10♠. The board ran out K♠7♣3♦Q♥J♣, eliminating Leone from play and awarding Jackson the pot. We have reached the final ten players in the Monster Stack event. They have decided to take a shortened 45 minute break for dinner. We will gather their chip counts and post them in just a bit. 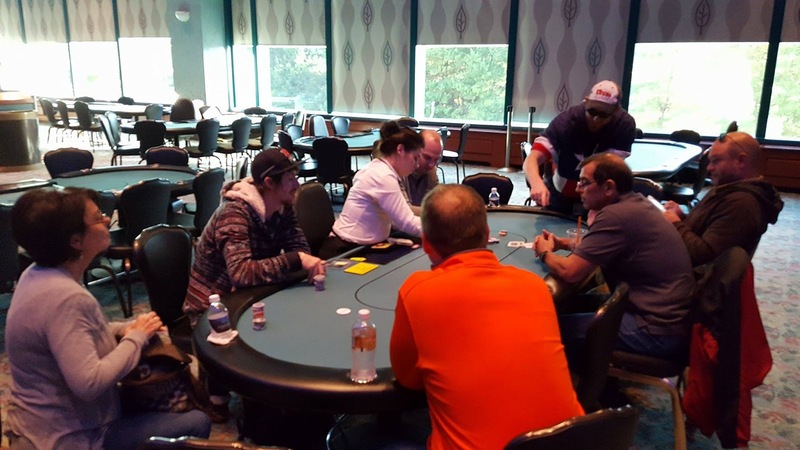 There were a total of 141 entries in today's Event #6, generating a prizepool of $28,510 (not including the $50 bounties). The top 15 spots will be paid. Francis Joyce is all in from the small blind for less than 200,000 and has been called by Patrick McConnell. Joyce holds J♦8♣ against McConnell's A♥K♦. 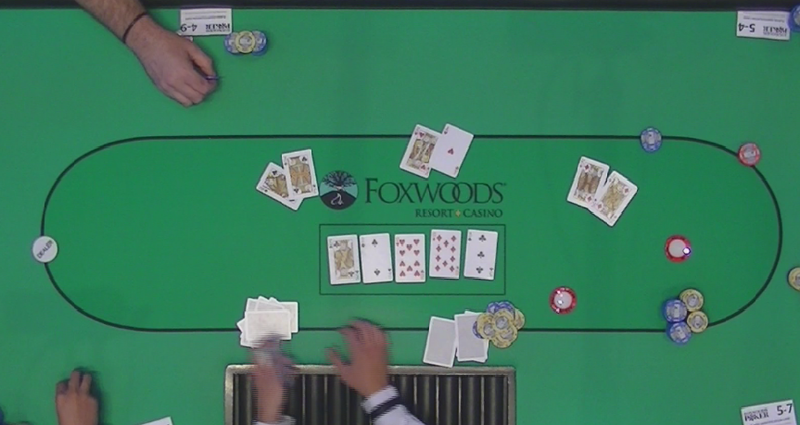 The flop comes A♦Q♠6♦ giving McConnell a pair of aces. The 10♥ turn maintains McConnell's lead but gives Joyce straight outs. The 7♠ river does not change the hand and Joyce is eliminated in 17th place. 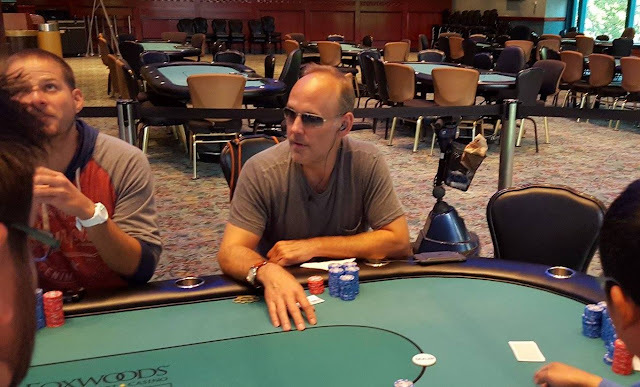 Action folds to Thomas Chillemi on the button who shoves all in for his remaining seven big blinds, and Francis Joyce calls in the small blind. The board runs out A♣7♦2♠2♣3♠ awarding Joyce the pot and eliminating Chillemi from play in 18th place. Joseph Guartino shoved all in holding 6♥6♠ and got called by an opponent holding Q♥J♥. The board ran out J♠10♣5♥K♦9♦ eliminating Guarino in 21st Place. Patrick McConnell raises to 65,000 in early position and Michael Krumenacker shoves all in for 200,000 in the hijack. Francis Joyce calls on the button, and McConnell pauses for nearly a minute before calling as well. 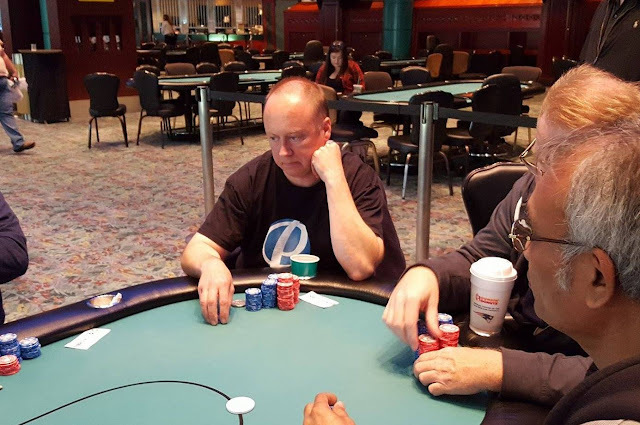 The turn is the 2♠ and the river the A♠ giving Joyce top two pair, and eliminating Krumenacker from play in 23rd place. 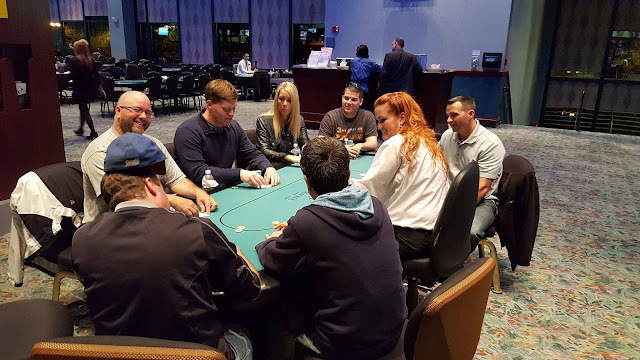 The remaining 23 players will return to play Level 26 with 15,000/30,000 blinds and a 5,000 ante. 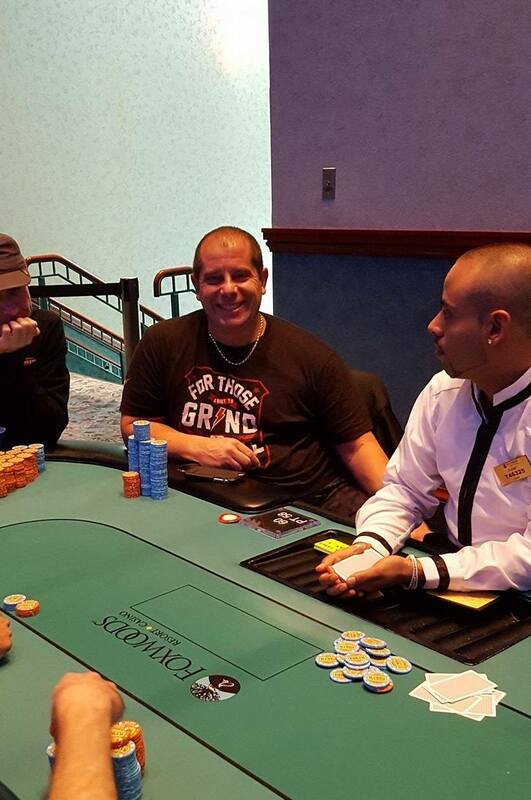 Jeffrey Giordano just got it all in for 337,000 against two opponents holding A♥K♥. His opponents held Q♠J♠ and K♦J♦. 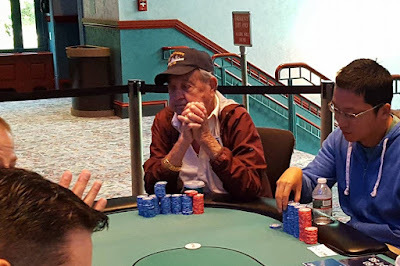 The board ran out K♣10♥2♠10♦3♣ awarding Giordano the pot, eliminating Aaron Healy from play, and leaving Willie Jenkins with around 275,000 (11 big blinds). 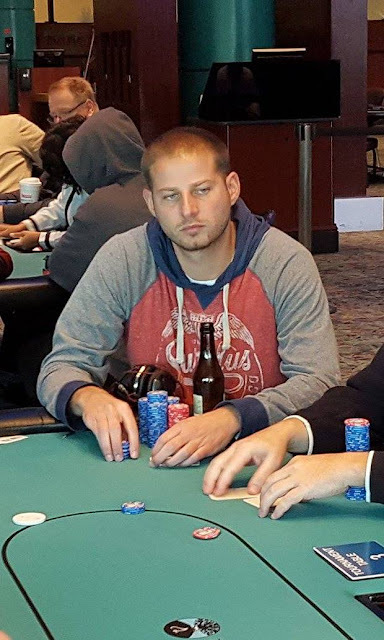 According to Andrew Lauer, he was recently eliminated from play after defending A6 in the big blind. 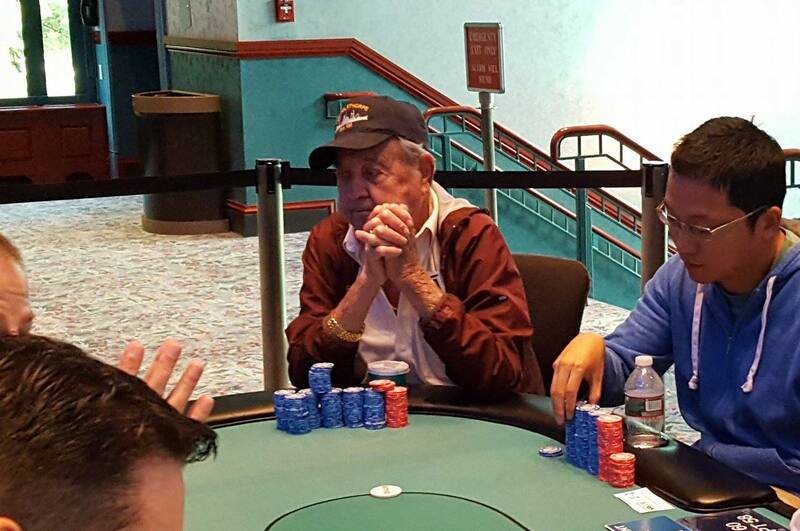 The flop came 864 and he check shoved all in and got called by Patrick Jackson holding A8. Lauer failed to improve and was eliminated in 30th place, taking home $659. Lauer has been having an exceptionally good few months. In August during the World Series of Poker Foxwood series, winning back to back Events (#1 - $365 No-Limit Hold'em for $17,475 and Event #3 - $365 No-Limit Hold'em Turbo for $14,094). Since then, he has also cashed for nearly an additional $10,000 in events at the Borgata. Lauer will add another $659 to his already impressive live earnings total. Day 2 of the $300 NLH Monster Stack is just about to begin. The 47 returning players are just taking their seats, and 45 of them will make the money. We will be streaming a feature table after the money bubble has burst, sometime around 1:00 local time. Event #6 will get underway at 11am today. 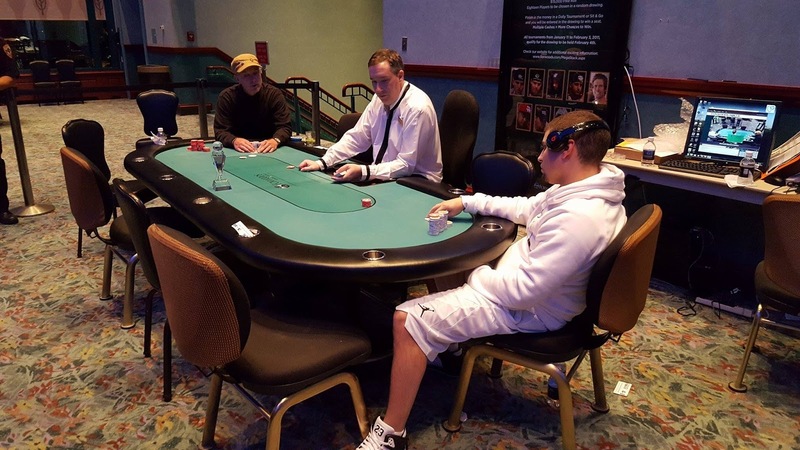 This tournament features a 20,000 starting stack and 30 minute levels. Please see below for full details of this tournament. After hours of heads up play, Jiqiang Tong has comes out victorious in the $600 No-Limit Hold'em Re-Entry event, taking home the trophy and $74,000. 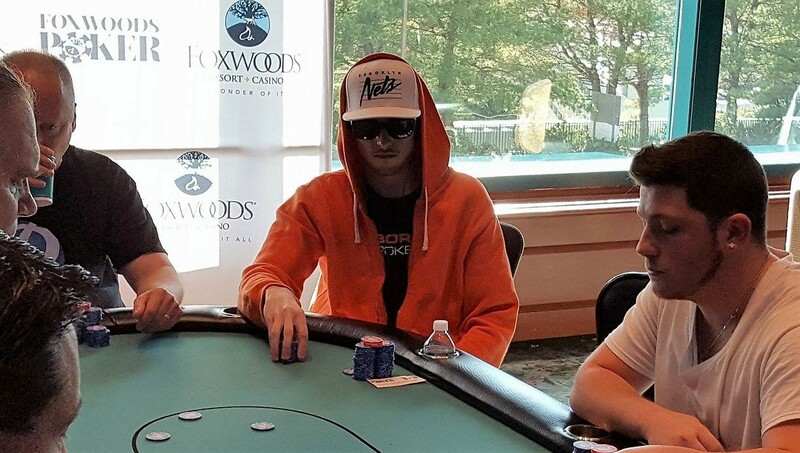 Poker Pro Will Failla takes home $65,151 for his second place finish, adding to his impressive $5,000,000+ in live tournament earnings. 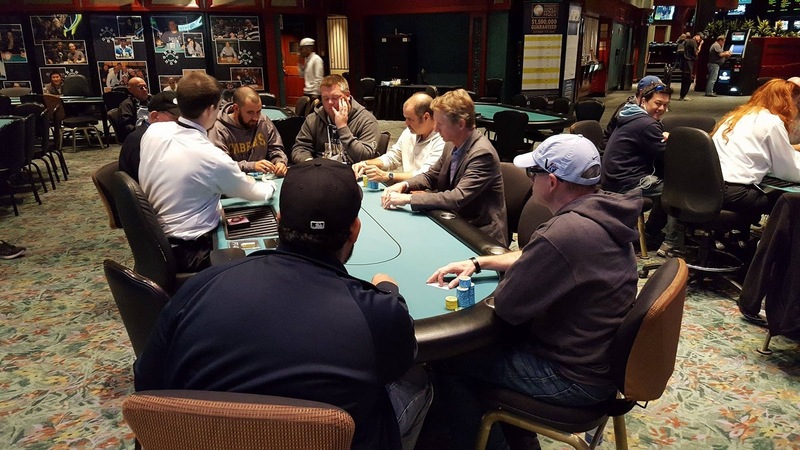 A total of 47 players made it through to Day 2 in the $300 NLH Monster Stack Event. Those players will return at 12:00 noon on Tursday to play down to a winner. Play will resume at Level 22 with 6,000/12,000 blinds and a 2,000 ante. For a look at the prizepool for this event, please see this link.